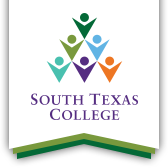 South Texas College will host a Registration Round Up in the Delta Area Dec. 5 to showcase available classes. The purpose of this event is to give interested community members the opportunity to apply for admission, financial aid, and register for classes. STC will now be offering courses in the Delta Area, serving the communities of Edcouch, Elsa, La Villa, Monte Alto, La Blanca, and Hargill. Take advantage of this opportunity to learn more about STC’s programs. For more information on STC’s Registration Round Up please call 956-447-6631.